I was willing to leave orders open and allow them to take relatively large losses with the hope the market would come back in my favour. I was not willing to leave orders open that were in small amounts of profit because I was afraid the market would turn around and my profitable position would turn to�a loss. Any plan I had in my mind to react to the market before I opened a position was completely dismissed once the position was open; each time I reacted with 99% emotion. My heart dropped into my stomach when the market went against me and I felt like a king when the market went my way. The reactions mentioned above are based on pure�emotions and no logic, specifically with points 1 and 2 above logic would dictate you should have the same reaction�whether or not you were going to profit or lose. Needless to say my human emotion clouded my logical judgement and�lost me money fast as I was basically not willing to take much profits but was willing to let losses run and they often do run very far. I then realised that if I reversed what I was doing it might work in my favour and I may become profitable. Well, I tried but my emotions always blocked me. I also know that even if that might work in the short run it would come to a point where the losses would outweigh the gains, especially when the odds are against us due to the spread. After some psychological adjustment I often let profits run and they came to a point where I achieved very profitable trades but I let them go too far and the market reversed and I lost the gains. It even came to a�point when I felt like whenever I�placed an order the market would go the opposite direction. It actually felt like the markets were�against me in some illogical kind of way. After some time I became good at spotting when a currency pair was trending. However, half of the time I opened a position in the direction of the trend it kept going but I got out too early or waited too long until the trend reversed on itself, sometimes resulting in a loss. I realised seeing where the market was going is one thing but getting in and out of trades at right time to profit is another. One thing I learned is that trading is tough and everyone has to lose money. In fact over the�time I have been�trading I actually understand more and more of how much of an amateur I am (despite my in-depth knowledge of how brokers operate). There are plenty of popular indicators such as Bollinger Bands, MACD, RSI, Ichimoku and Moving Average to name just a few, there are also some well recognised chart patterns that can be spotted on different timeframes that can indicate where the market is going. On top of that there is a wealth of economic data releases and also macroeconomic news that affects currencies, equities, commodities and indices – all of which have direct or indirect correlation between them. I sometimes open an order simply based on the chart data in front of me and the minute I do so I suddenly ask myself why didn’t I check the recent economic data related to that currency pair and all news in the relevant region on top of using some indicators. It is at that point when I realise my trade was placed based on a hunch and without taking into consideration important information that is available and that serious institutional market participants use (that influence the market direction). Further to that sometimes I do trade based on all the correct research�and still the market does the opposite of what I expected. After all of this emotional turmoil I realised two�things. Number one, emotions have no place in trading and number two, the markets quite often do what we�dont expect, after all if anyone could predict them they would be rich. An interesting thing about trading is that although I�know the odds are against me�and that 90% of traders fail (or so they say) I have a feeling inside me telling me I can do it. Sometimes I listen to that feeling and again get disappointed when I lose, but not enough to make me want to give up. Up until now I have only traded small amounts and my losses only outweigh my gains slightly as I am quite careful�so I havent felt the need to quit. Actually, I consider the money I lost well worth it because I have learned so much from the whole process. 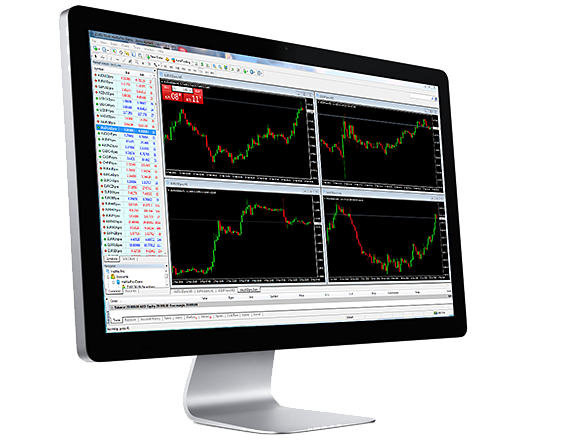 I have actually taken quite a lot from the experience as it�has helped me understand traders better and what they look for in�a broker. This is invaluable information in my line of work and it is something I had to take the initiative to do myself. No company training course could do that for me. There is one question that seriously gets to me though. Would I be able to trade profitably one day if I stuck with it? I know I will never know the answer to that question as I figured out I could make more money spending my time doing something constructive and without the risk of losing money. So, I guess I will never find out! Nice article, funny and very true but i want to comment on the subject itself, and I will start by answering the question in the end. Yes you can and will make money if you stick to it. There are a few things you need to learn and master, one of them is controlling yourself. You have to learn how to do it. There is no right or wrong way, there is what works for you and what doesn�t, which means that you have to try it on a live account. You have a lot of information from your previous trading results, you know what went wrong, and you know how your emotions did react to most trades. You know the problem. looking through your trading history should solve the problem. The rest is sticking to your plan at all costs. Remember, every one who traded forex previously lost. Its a learning curve. You finished the hard part, learning, trail and error and practicing, now you should take it seriously, do your homework and stick to the plan. Thanks for the comment dude. Its good to hear that you believe I will be able to make money if I stick with it. I actually feel that I am in control of my emotions but in fact I know that I dont know how controlled and calm I really can be until I am emotionally stressed. I will take your advice and create a trade plan and stick to it at all costs. I have always wanted to put a trade plan on paper and execute it but never ended up doing so, and instead always traded on an ad-hoc basis. I have actually considered writing up a trade plan and putting it in a blog post that is published to the world. Then publishing follow up posts as the plan progresses. That way I have no way to go back on it and all my readers can follow my progress and see how well a stringent plan unfolds.